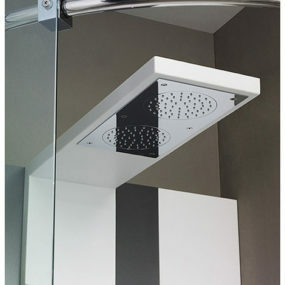 Simple and understated, the Z94150 Shower from Zucchetti Rubinetteria offers a slim profile which overflows with comfort and luxury. 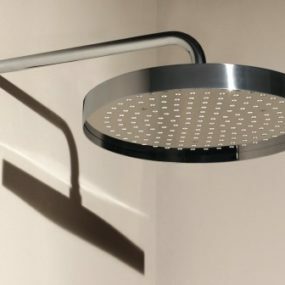 Designed by Ludovica and Roberto Palomba, the ceiling-mounted steel plate conceals both a relaxing rain and blade flow for a choice of luxurious shower. 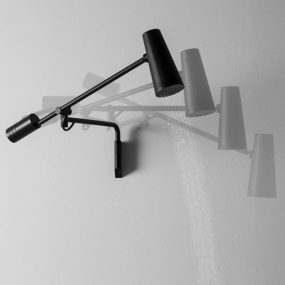 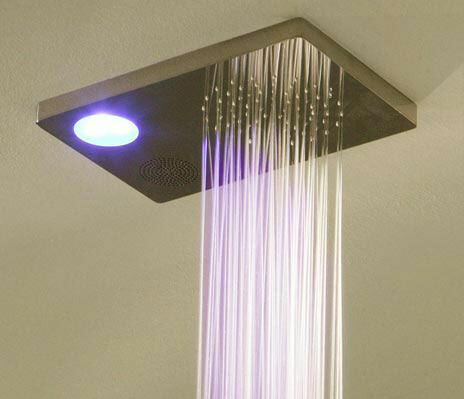 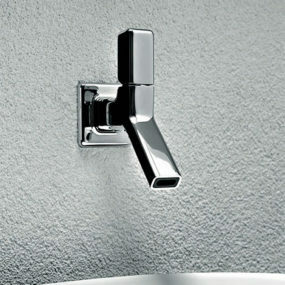 Along side the rushing water, the Z94150 adds light and music for a complete shower experience. 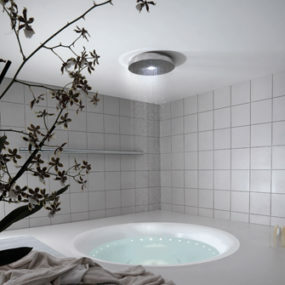 A simple circular light incorporates the benefits of color therapy, while a discrete speaker serenade you with either relaxing tunes or your favorite soundtrack. 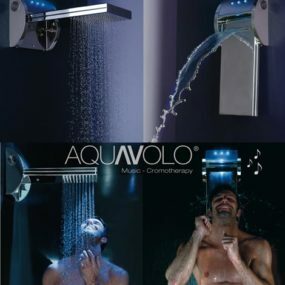 With an external keyboard, the light and music shower is easy to control and adjust without disrupting its sublime elegance. 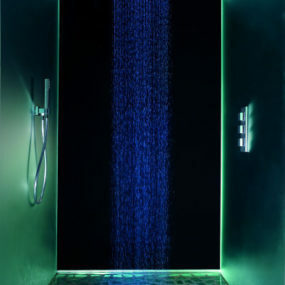 The prefect shower to recharge your mind and soul, the Zucchetti Rubinetteria light and music shower pampers you all in understated style.